Columbia, S.C. (Aug. 23, 2013) – It’s been a great summer for Motor Supply Co. Bistro. On top of national and regional press coverage and a successful Make Your Own Bacon workshop in July, the farm-to-fork restaurant won four highly-sought after awards. Motor Supply was awarded the 2013 Award of Excellence by Wine Spectator, the national, critically-acclaimed magazine that awards annual achievement honors to restaurants all over the country based on the diversity, uniqueness, appropriateness and quality of their wine lists. This makes Motor Supply an 8-time winner of the award. On a local level, Columbia, S.C.’s Free Times alt. weekly newspaper recently published its 2013 Best of Columbia readers’ choice awards. 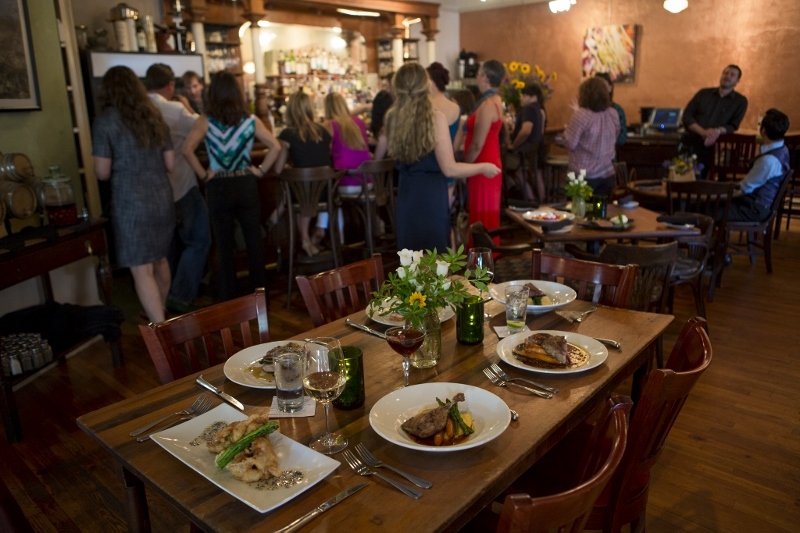 Motor Supply won in two categories, Best Chef and Best Specialty Drink, and the bistro placed second out of roughly ten nominees as runner-up for Best Restaurant. Free Times Best of Columbia is an annual, local competition among restaurants, retail shops, businesses, service venues and more across the Midlands. Known for its artisan cocktails, casual atmosphere and daily-changing, chef-driven menu of sustainable, farm-to-table fare, Motor Supply Co. Bistro has been serving New World, made-from-scratch cuisine in the historic Columbia, S.C. Congaree Vista since 1989. Reservations can be made by calling 803-256-6687 or by visiting http://www.motorsupplycobistro.com/reserve.